Hello and welcome back! It's time for this month's Fancy Friday Blog Hop. I'm here with my fancy friends (all current or former members of the Stampin' Up! Artisan Design Team). 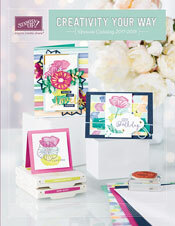 This month we are featuring our favorite Occasions Catalog product! You'll love what you see tonight on our fancy blog hop. We also have a Pinterest board that you can follow. You might have just arrived from Dani's blog. I just love her fun style! 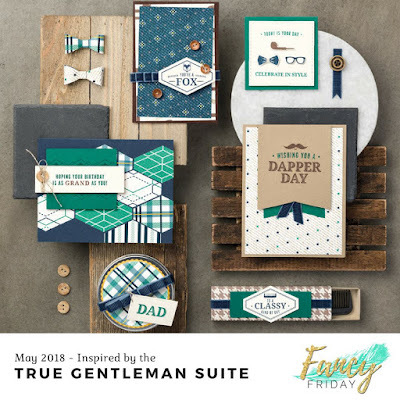 So, my favorite products from the Occasions Catalog are the Needle & Thread Bundle including a stamp set, a matching die set, patterned papers, linen thread and mini buttons. Hello and welcome back! It's time for this month's Fancy Friday Blog Hop. I'm here with my fancy friends (all current or former members of the Stampin' Up! Artisan Design Team). Happy 2019! This month we are featuring our favorite Sale-a-bration product! You'll love what you see tonight on our fancy blog hop. We also have a Pinterest board that you can follow. You might have just arrived from Susan's blog. I just love her beautiful style! So, it was a hard to decide which product was my favorite, because I love several of them! I decided to make something with the By The Bay Cling Stamp Set. I made three fairly simple cards to share with you today. Hello and welcome back! It's time for this month's Fancy Friday Blog Hop. I'm here with my fancy friends (all current or former members of the Stampin' Up! Artisan Design Team). Can you believe that Thanksgiving is over and Christmas is only weeks away? This month we are featuring our Christmas cards! You'll love what you see tonight on our fancy blog hop. We also have a Pinterest board that you can follow. You might have just arrived from Susan's blog. I just love her beautiful style! 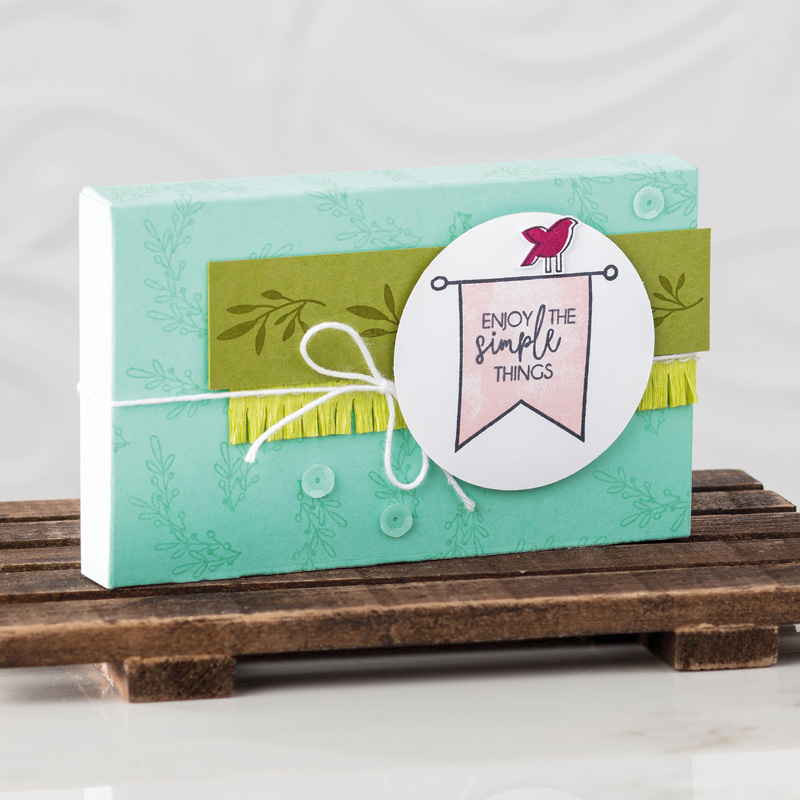 I used the Alpine Adventure bundle of stamps and dies. I love the detail in these products. There are some terrific images of sleds, skis, snow shoes and little accents of holly, a wreath and jingle bells and bows to go with them. There are even three fun greetings! This bundle has everything you need for your Christmas cards. Hello and welcome back! It's time for this month's Fancy Friday Blog Hop. I'm here with my fancy friends (all current or former members of the Stampin' Up! Artisan Design Team). This month we are featuring a color challenge! Check out our inspiration photo below, with the colors of Mango Melody, Powder Pink, Rich Razzleberry, Pacific Point, Smoky Slate and Whisper White. We also have a Pinterest board that you can follow. You might have just arrived from Cindy's Blog. Did you see her fun project?! Love her style. Here is the inspiration photo. Isn't it a lovely one? I'll be honest...I was afraid of this color combo at first, but I like what I came up with. Hello and welcome back! It's time for this month's Fancy Friday Blog Hop. I'm here with my fancy friends (all current or former members of the Stampin' Up! Artisan Design Team). This challenge we are featuring new and returning bundles from the 2018-2019 Stampin' Up Catalog! We also have a Pinterest board that you can follow. You might have just arrived from Mindy's Blog. Did you see her fun project?! She has great style. Hello and welcome back! It's time for this month's Fancy Friday Blog Hop. I'm here with my fancy friends (all current or former members of the Stampin' Up! Artisan Design Team). This challenge is inspired by the True Gentleman Suite on page 44-45 in the Occasions Catalog. We could use the suite of products, the color combo or just be inspired by the style while focusing on masculine projects. I missed the official hop, but you can catch up with the rest of the team here. We also have a Pinterest board that you can follow. You might have just arrived from Shannon's blog. Did you see her colorful project?! I love her style.